After having just seen Passion Pit the previous night, and planning on seeing Seabear the next night, I really considered skipping out on Little Dragon. But the more I listened to their album, the more I liked it. Helping to tip the scale was Cleveland's own The Sleeps opening. I had an older CD of theirs that that had slowly grown on me, and I was curious to see what they sounded like live. I'd be very excited to have a good, local electronica-type band. 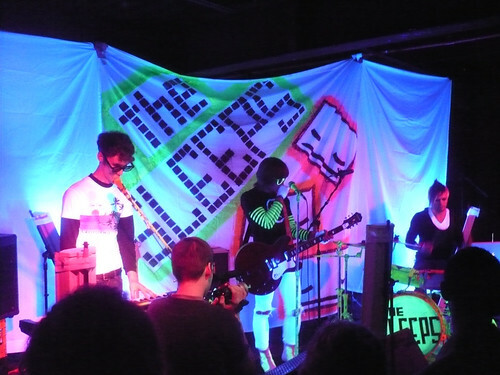 Their blacklight stage presence was trippy and a bit distracting, but that wasn't a bad thing. These guys have good thing started, just need a little more polish. They're on a good track. 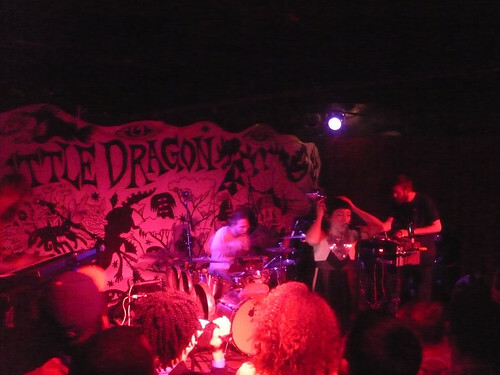 But talking about polished.... Little Dragon did not disappoint! They performance was slick, spirited and energetic. I'm also a kind of sucker for the Swedes. Check out a couple of my favorite songs. I'd see these guys again in a heartbeat.